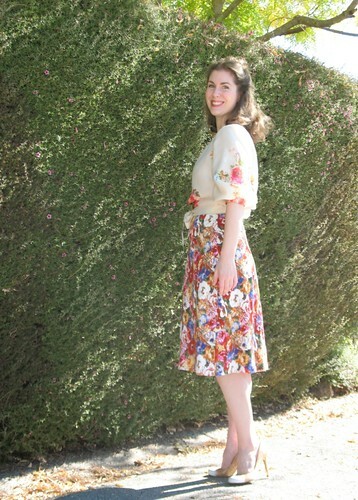 While I was working on this Britex project, I was concerned that I did not have a skirt that was going to look right with the finished blouse (also known as the perfect excuse to make another garment!). 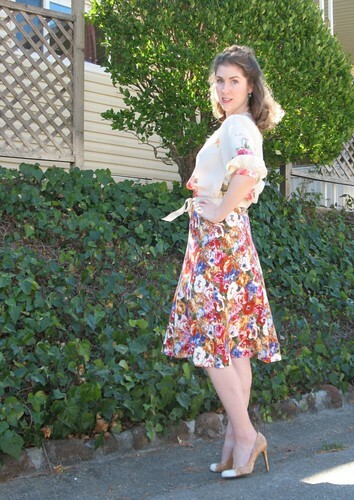 The skirt is actually from the original pattern I had pulled for the silk/cotton blend. 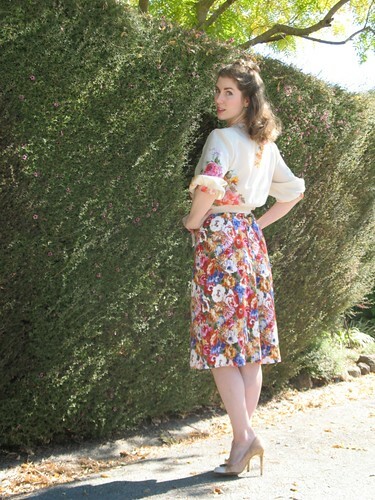 It is a very basic 1940s style skirt, and since it was already out, I though I would give it a try. And then this fabric jumped out at me (I have a bad habit of pulling a bunch of yardage out when trying to find a suitable match to a pattern and never putting it away). It was intended for this dress, but there was no way to fit all the pieces on the seriously shrunken rayon. What was 54” off the bolt came out of the wash more like 44” – not to mention the length that was lost! Does anyone know why stretch wovens shrink so darn much?! The prints are not an absolute match, but the colors and the overall floral theme was just too close not to pair them. What I originally thought was going to be a rarely worn skirt has already seen quite a bit of action. I really must make more of these! That is such a lovely outfit! 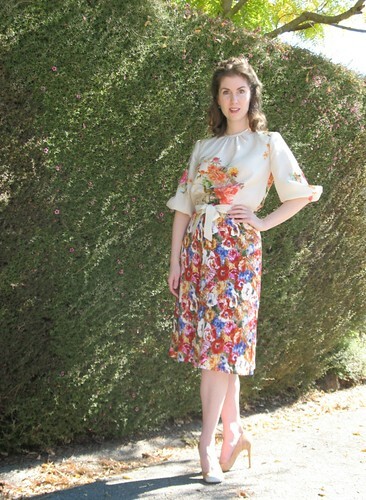 I adore the match and at first thought you had made a dress...I love the blouse fabric. Wow, what a terrific fabric combo....feminine yet modern since they don't exactly match. I like the combination of florals! They're both great pieces. 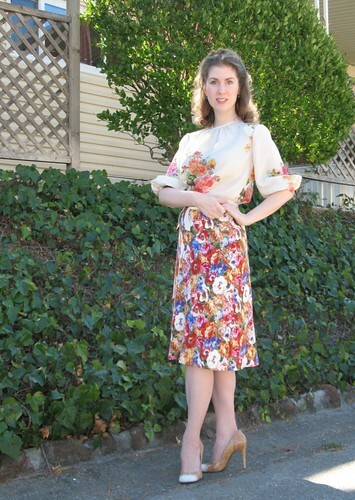 I couldn't even tell until you pointed out that the florals on the blouse and the skirt aren't the same. They look like they were made to go together! I just love both of these pieces!! Splendidly pretty outfit! I adore weaving florals into my autumn wardrobe, too. This outfit took my breath away. Bravo!